Petco announced last month that it’s launching a new branch of its store, which will serve as a lab, called PetCoach. The concept is based on an app that the brand acquired last year. It connects customers with vets and trainers who can help them be better pet parents by answering their personalized questions. The brand takes pet personalization to the next level, suggesting attribute-based recommendations on the website based on breed, weight and, in some cases, a model of your pets breed playing with or wearing the item you’re browsing -- if you’ve signed up for an account. 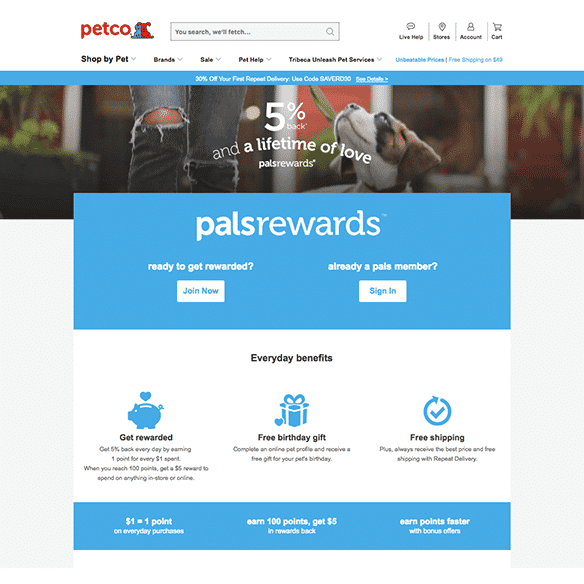 Petco understands that personalization is an omnichannel experience, and is working to connect the in-store experience through advancements to the brand’s mobile app and PetCoach program app. Petco also announced its expansion into Canada this month, bringing its $4 billion brand to pet parents abroad. Petco’s iOS app “Heads and Tails” engages with content and personalizes based on pet species. Not only are there opportunities to win a gift card for posting cute selfies with your pet, but the app also allows you to compare pet insurance policies. When you sign up for the app you pick what kind of pet you have and even add multiple pets, from fish to reptiles, you can input the breed and weight and view customer-rated products. The “Pals Rewards” program generously perks and pampers your pooch. The program awards you points for every dollar spent, free shipping on all orders and a robust content library with resources for you and your pet. You can access the rewards program from all channels including site and the mobile app. 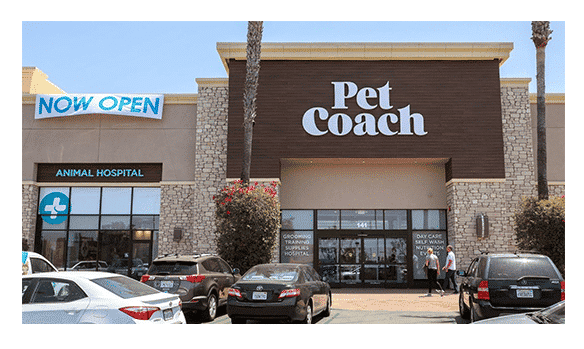 Petco has launched PetCoach, a new brick-and-mortar store concept that combines a suite of personalized pet services, products and experiences. With this new experience they address total pet health and wellness bringing veterinary and training services into the mix. 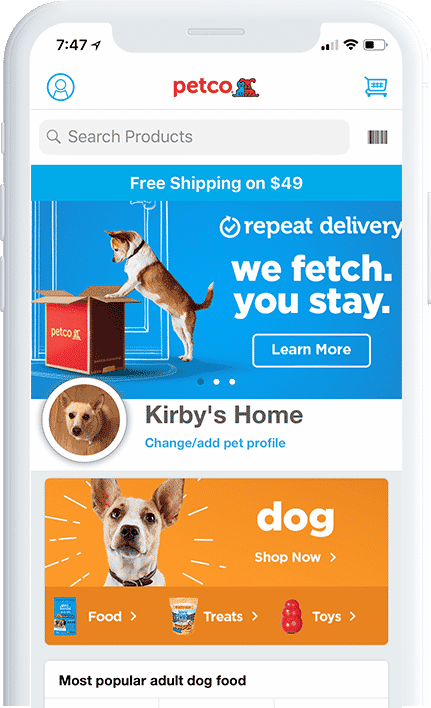 The acquisition of PetCoach and subsequent launch of this new retail venture gives Petco access to an entirely new set of data on which to personalize.